Just plug it into a socket (not on an extension lead) anywhere you feel it may be of most benefit to you and start harmonising your home or office. If you are not sure where to plug it in please contact your health practitioner, feng shui consultant or us. 2-pin European and 2-pin US models are available as well as a portable USB version. Helios3 works worldwide on 110-240V but in some countries, a travel plug adaptor is required (not included). 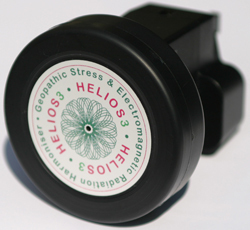 Also, a portable, Helios3 USB Geopathic Stress (GS) and Electromagnetic Radiation (EMR) plug version is available which you can plug in into your computer, car or any 5V USB charging sockets to give you an extra boost of Schumann resonance in your local environment at home or workplace. Guarantee Helios3 will work almost forever if not damaged. Helios3 carry a one-year manufacturers warranty. HELIOS£ plug version: £170 (FREE P&P when bought online) Posted within 1-5 working days in the UK (please allow up to 10-14 days for international delivery). 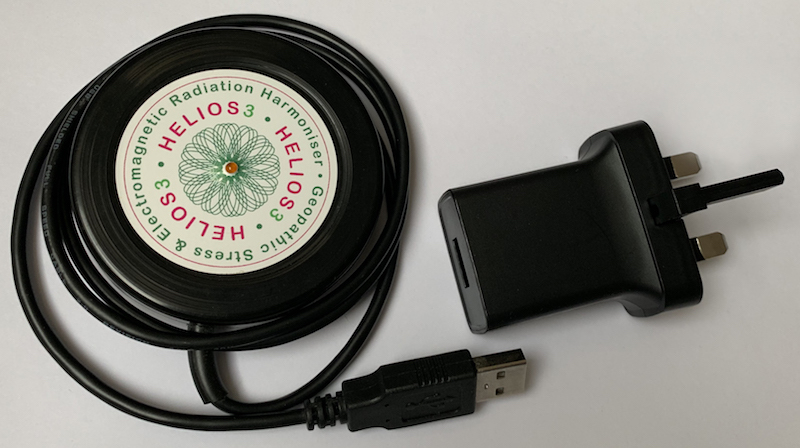 HELIOS£ USB version: £135 (FREE P&P when bought online) Posted within 1-5 working days in the UK (please allow up to 10-14 days for international delivery). Order Helios3 online by with Secure Credit Card Payment with PayPal below. The UK orders include the UK 5V USB charger. Outside the UK orders include only Helios3 USB version – you’ll need to use or purchase any 5V, 1-2Amp USB mobile phone charger. Helios3 is not intended to diagnose, prescribe for, treat, or claim to prevent, mitigate or cure any disease or used instead of prescribed treatment. The statements made on this websites have not been evaluated by the Food and Drug Administration. Consumers are cautioned to read all labels and follow all directions. If in doubt consult your doctor/GP. Helios 3 is very easy to use. Just plug it into a socket.